Which Mercedes-Benz Sedan is Right for You? With the new year comes a whole new set of exciting vehicles. If you’re in the market for a new sedan, make sure you check out the always innovative Mercedes-Benz offerings. There are several Mercedes-Benz sedans for the 2016 model year, and choosing the perfect one depends on exactly what you’re looking for in a vehicle. Take a look at some of their best sedans for this year. The E 400 Sedan has a turbocharged 3.0-liter V6 engine developing 329 horsepower and 354 lb.-ft. of torque, with direct fuel injection. The seven-speed automatic transmission offers Touch Shift Manually Interactive technology, all of which translates to great power and performance. The car gets 20 mpg city and 29 mpg highway and has a fuel capacity of 21.1 gallons. There are many comfort and convenience features that come standard in the E 400 Sedan. You’ll get multi-adjustable power driver’s and front passenger’s seats. Front seats are both heated and cooled, allowing you the most comfortable seating available, no matter the outside temperature. If you’re interested in the best in entertainment, the E 400 offers a Logic 7® surround sound system with 14 speakers. The E 400 keeps you comfortable on the road with a number of safety and convenience features. There is an optional rear electronic parking aid with camera, airbags throughout the car, and a remote trunk release. For your peace of mind, a vehicle theft tracking notification system is standard. Other standard safety features include an auto-dimming rearview mirror, intermittent wipers, and a rear window defogger. With the 2016 Mercedes-Benz AMG® C 63 Sedan, you’ll get a turbocharged 4.0-liter V8 engine which offers 503 horsepower and 516 lb.-ft. of torque, with a standard direct injection fuel system. There’s a seven-speed AMG® SPEEDSHIFT® MCT manually interactive automatic transmission. Fuel economy on this vehicle is 18 mpg city and 25 mpg highway, and the fuel tank capacity is 18 gallons. Leather seats are standard on the AMG® C 63 Sedan. The driver’s and front passenger’s seats are multi-adjustable power seats with memory for multiple drivers, and they are heated but do not have a cooling option. The entertainment system is an AM/FM radio with a 590-watt output through 13 speakers. 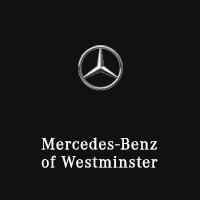 The car offers the exclusive Mercedes-Benz COMAND® (Cockpit Management and Data) system. The variety of safety features in the AMG® C 63 Sedan helps keep you safe on the road no matter the conditions. There is an optional navigation aid with voice activation to help keep you on track. The optional rear electronic parking aid with camera helps cut back on parking collisions. Standard safety features include side guard door beams, keyless entry with remote lock and unlock, and memory adjustable exterior mirrors. The breathtaking engine on the 2016 Mercedes-Benz Maybach S 600 Sedan is a turbocharged 6.0-liter V12 with sequential electronic fuel injector, resulting in an impressive 523 horsepower and 612 lb.-ft. of torque. The seven-speed automatic transmission is an AMG® SPEEDSHIFT® manually interactive automatic transmission. You’ll get about 13 mpg city and 20 mpg highway with the Maybach S 600, and it has a 21.1-gallon fuel tank capacity. The adjustable power seats in the front offer memory for multiple drivers, have dual power lumbar support with massage, and are heated and cooled. The entertainment system of the Maybach S 600 Sedan is top of the line, with a 24-speaker surround sound system outputting 1,940 watts. The car also features COMAND®, offering you the best in entertainment and information technology. The PARKTRONIC system with active parking assist, front and rear electronic parking aid with camera, and ultrasonic sensors come standard on the Maybach S 600 Sedan. Selective power door locks help keep you safe in the car. There is also a standard fully automatic power trunk lid/liftgate. The vehicle theft tracking notification system will help if your car is ever stolen. As you’re considering a new car, you can make sure to get the features and performance you need in the 2016 model year of Mercedes-Benz sedans, offering luxury, power, and remarkable features. No matter what you’re looking for in your next vehicle, there is a Mercedes-Benz sedan that has you covered. Check out the variety of options in vehicles, trims, and additional features when you come in to view the 2016 Mercedes-Benz sedans. 0 comment(s) so far on Which Mercedes-Benz Sedan is Right for You?